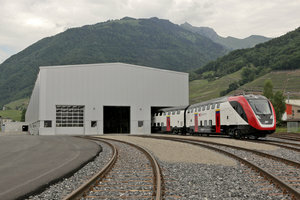 SBB displayed the new Twindexx EMU at Bombarier’s plant in Villeneuve, Switzerland. 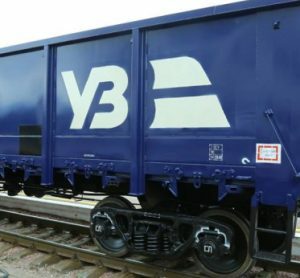 The unveiling followed successful tests carried out at Bombardier plants in Hennigsdorf in Germany, the Velim test track in the Czech Republic and at Villeneuve. For the first time SBB gave an insight into the interior design of the long-distance train. At 200 metres long, the double-deck vehicle will now undergo static tests at a new test hall in Villeneuve. Further testing will also take place on the test track in Velim and on the SBB network in the coming months. 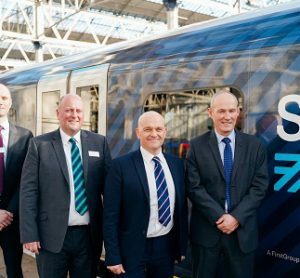 The contract signed in May 2010 agrees delivery of 59 trains and 436 coaches for the intercity service by the end of 2019, with three additional train sets in the first quarter of 2020. 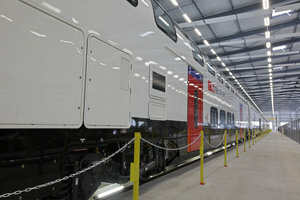 The contract includes options for more than 100 additional Twindexx trains. 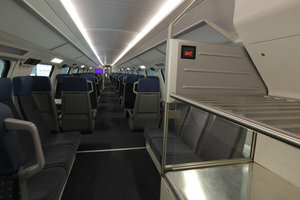 The new Twindexx Express intercity trains will travel at speeds of up to 230 kilometres per hour and provide wide doors and illuminated stairs, generous seating, large luggage, bike and ski racks, wireless internet access, electronic customer information and emergency call systems, CCTV and air-conditioning.